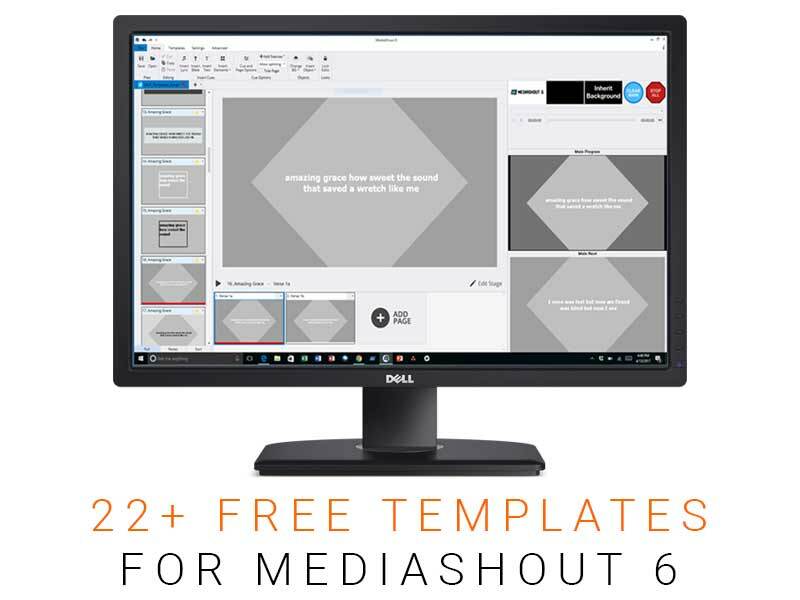 Inside this amazing free resource from SALT Community, you’ll find 22 free MediaShout v6 Templates (each one has a dark and light version, resulting in over 40 useful templates). Includes are 10 Lower Third templates to use if you’re doing IMAG or on-screen names. The best part is that every template in this bundle is fully editable within MediaShout. Simply follow the steps to install the custom fonts (that’s another bonus of this free resource), and you’ll be ready to install with the click of a button (steps included upon download). Hopefully these free MediaShout templates will make your preparation for weekly services a little bit easier! *The Free MediaShout Templates free resource requires MediaShout6 to work. To download this free resource from the SALT Community, simply fill out the form below and we’ll email you a link to download this resource immediately. Feel free to share this page (instead of the email you get) to friends or on social media!